We’ve had a lovely surprise today as our short film All Consuming Love (Man in a Cat) has won two awards at The Moonrise Film Festival in Canada. 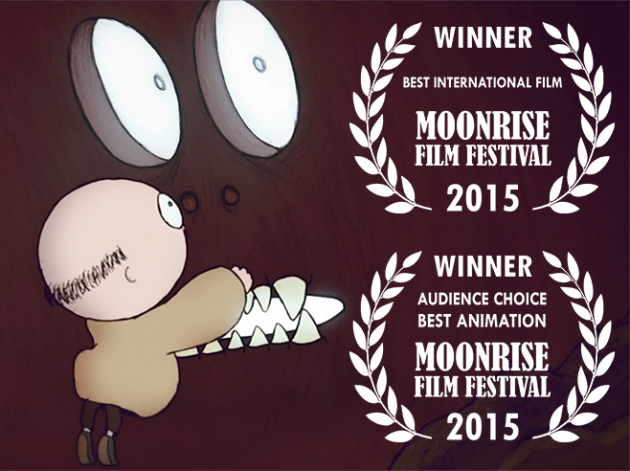 It won Best International Short Film and the Audience Choice Best Animation. Thanks Moonrise! It’s particularly pleasing as Man in a Cat was our first commissioned film and it’s been a good while since it last appeared at a festival. It’s nice to see the film is still be doing the rounds and collecting accolades. You can see the other winners and follow the Moonrise Film Festival on Facebook. All Consuming Love (Man In A Cat) from Dice Productions on Vimeo.